Android L is the latest version of Google’s mobile operating system. Which is packed with some new features and lots of improvements. 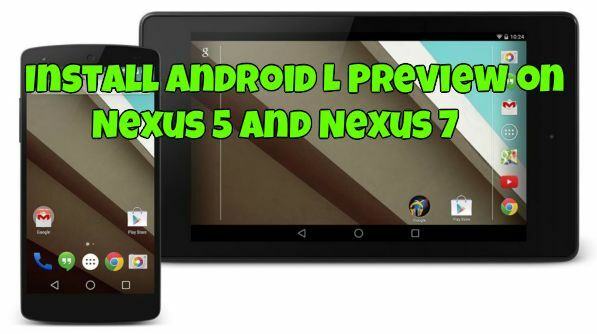 The company released a developer preview (or beta) version of Android L and the preview is available for the Nexus 5 and nexus 7 users. The preview is not the stabler version of the new OS, but you can install them on your Nexus 5 and 7. If your the Nexus user and want to test the latest release on your device, then here is the full guide which you can use on your Nexus 5 and nexus 7 android device. This tutorial in only for the Nexus 5 and 7 users, don’t try this method on nay of your other nexus or android devices. 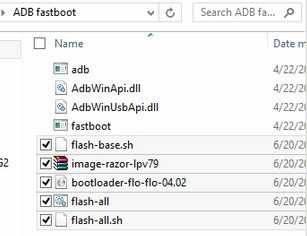 To get started all you need a ADB and Fastboot drivers and the Android L image to flash the system image on your device. Before that do take the full backup of your devices. Step 1. Download ADB and Fastboot file here and extract the folder on your desktop. One the OS is loaded on your desktop extract the folder. The process will take some time, Wait until the flashing is completed and then simply reboot your device. Now you device is running on the Android L developer preview. If I install android L in my nexus 5.I may loss my warranty? ?